News Feed — Wolf Resources, LLC. Colorado citizens have the powers of initiative, both Statutory and Constitutional. To get on the ballot for the November 2018 general election, proponents needed to collect 98,492 valid signatures. 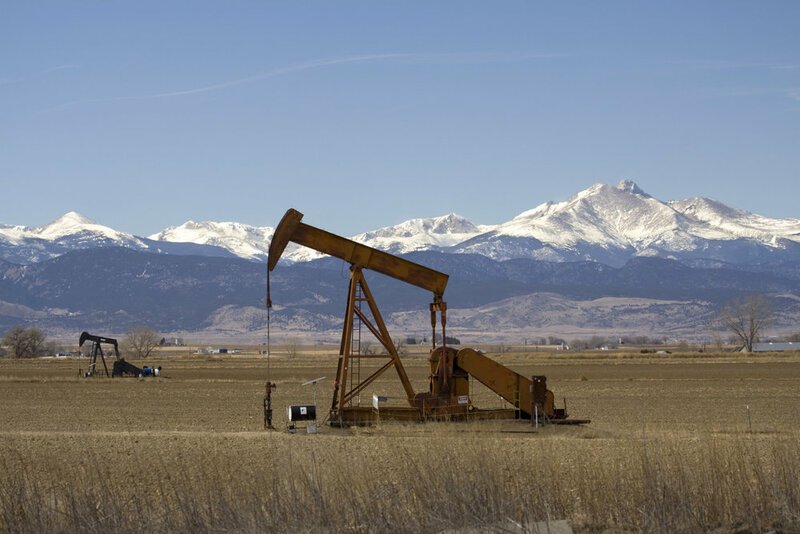 Two initiative petitions are pending in Colorado that deal with oil and gas operations in the state. If at first you don’t succeed…form a coalition! Atlantic coast states have been pushing back against the idea of permitting offshore drilling for oil and natural gas, and now it looks like industry stakeholders are making a fresh run at the issue. The new push comes from a familiar face — the American Petroleum Institute — but it features an interesting new co-chair, so let’s take a closer look and see what’s going on. In a nutshell, API’s new “Explore Offshore” dangles the prospect of more than 25,000 high-paying jobs and $230 million in annual state revenues from offshore oil and gas drilling. That’s some small potatoes when you spread it out among all 14 US states on the Atlantic coast (including New Hampshire, which just has a toehold). For now, though, the effort is focused on five states where support is relatively strong: Virginia, North Carolina, South Carolina, Georgia, and Florida. That sounds pretty impressive, but there are some serious state-level forces arrayed against offshore drilling in all five states. Georgia Gov. Nathan Deal expressed skepticism about the Trump administration’s plan to allow offshore oil drilling along Georgia’s coast. Local media outlets report that Deal said he would need to consider the effect on the state’s tourism industry before deciding whether or not to support the federal government’s plan. …We will continue our crusade to protect our shore and our two largest industries. To say nothing of protecting the environment. We don’t want what happened to the coast of Louisiana, and in Alaska to ever happen to us. Jackson was among several Georgia legislators pushing for a formal resolution opposing offshore drilling. The measure failed but he and his supporters have vowed to fight on. You Plans? We Got Plans, Too! Speaking of Georgia, tourism is the fifth-largest employer and a $60.8 billion industry in the state, with $3.1 billion in annual revenue. The offshore drilling plan comes at an especially bad time for the state. Georgia is positioning itself as a global tourism destination. Earlier this year, it unveiled its new 2018 travel guide with plans to distribute 700,000 free copies. …the industry provides job opportunities for more than 450,200 Georgians, accounting for approximately 10.6 percent of the state’s non-farm workforce. As this industry continues to grow, this success reflects our state’s status as a world-class tourism destination and once again affirms that Georgia is on the minds of travelers around the globe. Georgia’s new guide encourages tourists to “enjoy authentic Georgia experiences,” which could include an excursion to an offshore drilling platform if API’s campaign succeeds. At risk though, is the $2.4 billion in economic activity related to coastal tourism, along with more than 20,000 jobs (including part time and seasonal). Local governments including Tybee Island and Savannah have passed resolutions opposing drilling and the seismic testing required to explore for oil and gas. Atlanta passed one in February. Richmond Hill passed its version just last month at the urging of The Dolphin Project, among other backers. API is touting its bipartisan cred by tapping former Virginia Senator Jim Webb, a Democrat, to co-chair Explore Offshore on a national level. If you caught that thing about “former,” you’re on to something. Bipartisan means one thing in the private sector and another thing in elected office, namely, you get a vote. So far the bill includes Virginia, North Carolina, Maryland, and Delaware, so stay tuned to see if representatives from Georgia, South Carolina, and Florida decide to tag along. The biggest problem for API is that there is another significant offshore, job-creating energy alternative today, that being offshore wind farms. Despite the Trump Administration’s pro-coal rhetoric, the Department of Energy has been pitching wind farms for the Atlantic coast states like gangbusters. The nation’s first offshore wind farm has become a new tourist attraction for its home state of Rhode Island, so aside from the clean power and spill-free operation, there’s another benefit. CleanTechnica is reaching out to Rep. McEachin’s office for the bipartisan perspective on wind farms vs. drilling platforms, and we’re also interested to see how Mr. Webb reconciles his Navy experience with the Department of the Navy stand on climate change so stay tuned for that. Wolf Resources, LLC is pleased to announce the appointment of Tim Krebs as Chief Financial Officer. Tim has more than 14 years of experience in the energy industry and will be responsible for financial, accounting, corporate development and treasury functions. His knowledge of the oil and gas industry combined with his experience in the capital markets will help Wolf’s new phase of growth. Prior to joining Wolf, Tim held positions at Caerus Oil and Gas, Clarkson Plateau Securities and Black Opal Equity. 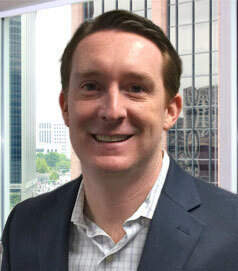 Wolf Resources, LLC is pleased to announce that Travis Low has been promoted to Chief Operating Officer. Travis has 15 years of Oil and Gas experience and has worked for various public and private companies which include PDC Energy (“PDCE”) and Samson Resources. His experience includes corporate finance, business development, strategic planning and land. Travis will be working with the Leadership team to remove obstacles, oversee general business operations, ensure alignment with the company’s vision, and lead large-scale strategic initiatives. For years, the focus of the oil industry was on growing production no matter the cost. Drillers would spend everything that came in — and then some — to drill new wells. This approach had disastrous consequences because it ultimately drove oil supplies well past demand, causing prices to crash, which made it hard for oil companies to keep up with the debt they incurred to juice growth. However, thanks to a small handful of oil companies led by EOG Resources (NYSE: EOG) and ConocoPhillips (NYSE: COP), those days of growing just to grow are long gone. That’s because they’ve disrupted the industry’s long-held way of thinking and have shifted the focus from increasing production to growing shareholder value. It’s an approach that’s now spreading like wildfire, making the oil sector a much more appealing option for investors. Through the years, most oil companies drilled new wells to produce more oil and gas. While they wanted to earn a return on their investments, many drilled countless money-losing wells. In fact, Chesapeake Energy’s CEO admitted a few years ago that at one point, 54% of its wells lost money. EOG Resources, however, has started disrupting this mindset by making it clear that it sees the production of oil as a byproduct of its aim of earning a lucrative return on the capital it invests in new wells. While the company always has focused on drilling for returns, it cemented that view in early 2016 when it unveiled its premium drilling inventory, which are locations that can earn a minimum 30% after-tax return at $40 oil. By setting the bar that high, the company would ensure that its wells still would make money, even if crude plunged below $30 a barrel. One of the many benefits of drilling high-return wells is that EOG can produce more oil for less money, enabling it to grow faster than most rivals. EOG’s focus on drilling to earn premium returns has already started changing the way competitors operate. Encana (NYSE: ECA) was one of the first to latch on to the idea when it unveiled its premium-return inventory in late 2016 along with a new five-year growth plan. The only difference was that Encana set a lower-return hurdle of 35% after tax at $50 oil. Meanwhile, many other drillers have started focusing their attention on identifying their highest-return locations, even if they don’t use the premium label. In some ways, Encana has taken EOG’s focus on returns even further since the company no longer draws attention to how much it can grow production. Instead, it highlights its ability to increase cash flow. That change happened last year when it unveiled an update to its five-year plan. Instead of targeting a production growth rate, Encana pointed out that it could increase cash flow at a 25% compound annual rate through 2022. Further, it could deliver that robust growth rate while generating $1.5 billion in free cash at $50 oil. Several other drillers have followed its lead by highlighting how much they can increase cash flow instead of trumpeting production growth. U.S. oil prices returned to bull-market territory while the global benchmark hit a two-year high, as investors gained faith that OPEC will successfully shrink a global supply glut. A drumbeat of bullish data in September, including the International Energy Agency’s upward revision to its demand outlook, has lifted prices. Investors have become more confident that the Organization of the Petroleum Exporting Countries will continue cutting production and that its efforts are helping bring oil’s supply and demand into balance. “It looks as though the market started to get convinced that the rebalancing is actually happening,” Tamas Varga, an analyst at PVM Oil Associates Ltd. said in a note Monday. U.S. crude futures settled Monday nearly 23% above this year’s low of $42.53 a barrel on June 21, marking the sixth bull market for crude in four years and the first since February. A bull market is typically defined as a gain of 20% or more from a recent trough, while a bear market is a decline of 20% or more from a recent peak. West Texas Intermediate, the U.S. benchmark, rose $1.56, or 3.1%, to $52.22 a barrel on the New York Mercantile Exchange, its highest settlement since April. Brent, the global benchmark rose $2.16, or 3.8% to $59.02 a barrel—its highest settlement since July 3, 2015 and its largest daily gain since December. Iraqi Kurdistan’s independence referendum played a role in boosting prices Monday, analysts said. Prices rose after Turkish president Recep Tayyip Erdogan made a veiled threat to close the pipeline that allows Kurdish oil to reach the global market. Oil tumbled into a bear market in June as market participants grew skeptical of OPEC’s ability to bolster oil prices. Traders and investors were also wary that any rise above $50 a barrel would only spur U.S. shale producers to start pumping out more crude. But recently, investors have been encouraged by signs that shale activity is starting to level off and that stockpiles are falling around the world. Global demand has also been strong. The IEA earlier this month raised its forecast for demand growth this year and now expects an increase of 1.6 million barrels a day. In a sign that prices could continue to recover, Brent crude has shifted into a market structure in which future prices are lower than near-term prices—an indication that supplies are tight and it isn’t profitable to sock away more oil in storage. U.S. oil has also rebounded as U.S. refineries come back online in the wake of Hurricane Harvey. Prices still remain well below the high of $54.45 a barrel they reached in February. Some hedge funds and other speculative investors are clinging to bearish bets on U.S. crude. Earlier this year, their bullish bets outnumbered bearish ones by more than 11 to 1, data from the Commodity Futures Trading Commission show. That has shifted to less than 3 to 1, according to the most recent data. OPEC’s continued cooperation is still far from assured. The group hasn’t committed to extending its production cuts past March of next year. And U.S. producers are once again likely to lock in higher prices for their future output—something that has capped previous rallies and worked against OPEC’s efforts, said Michael Tran, director of energy strategy at RBC Capital Markets. OPEC and 10 producers outside the cartel, including Russia, first agreed in late 2016 to cap their production at around 1.8 million barrels a day lower than peak October 2016 levels. The deal was extended in May through March 2018. In recent weeks, a number of signatories to the deal have indicated a willingness to hold back production potentially through 2018. The group is trying to restrain output from Nigeria and Libya, members that were initially left out of the deal because their oil industries were crippled by civil unrest that was expected to tamp down production there. —Stephanie Yang and Benoit Faucon contributed to this article. The president also plans to emphasize that after decades of relying on foreign energy supplies, the U.S. is on the brink of becoming a net exporter of oil, gas, coal and other energy resources. As with previous White House policy-themed weeks, such as a recent one focusing on infrastructure, the framing is designed to draw attention to Trump’s domestic priorities and away from more politically treacherous matters such as multiple investigations into Russian interference in the 2016 election. With “Energy Week,” Trump is returning to familiar territory — and to the coal, oil, and gas industries on which he’s already lavished attention. Trump’s first major policy speech on the campaign trail, delivered in the oil drilling hotbed of North Dakota in 2016, focused on his plans for unleashing domestic energy production. The issue has also been a major focus during Trump’s first five months in office, as he set in motion the reversal of an array of Obama-era policies that discourage both the production and consumption of fossil fuels. Plans for the week were described by senior White House officials speaking on condition of anonymity because the details hadn’t yet been formally announced. Trump is set to deliver a speech at the Energy Department on Thursday focused almost entirely on energy exports — describing how the foreign sale of U.S. natural gas, oil and coal helps strengthen the country’s influence globally, bolster international alliances, and help stabilize global markets. Energy Secretary Rick Perry may touch on similar themes when he speaks Tuesday with analysts and executives at the U.S. Energy Information Administration conference in Washington. The focus on exports dovetails with Trump’s policy priorities, including improving the balance of trade, rebuilding heavy manufacturing and modernizing infrastructure, said Benjamin Salisbury, a senior energy and natural resources analyst with FBR & Co. The Trump administration seems to appreciate the synergy between extractive industries and manufacturing, Salisbury said, with cheap energy powering factories that are in turn churning out the equipment used to produce and export those resources. With U.S. oil production booming, former President Barack Obama signed a law lifting a decades-old ban on most crude exports in December 2015. Since then, the U.S. has exported more than 157 million barrels of crude to countries other than Canada, which had been exempted from the export ban. The federal government has also authorized 21 billion cubic feet a day of natural gas to be liquefied and sent to countries that don’t have free trade agreements with the U.S. Since starting up last year, Cheniere Energy Inc.’s Sabine Pass terminal in Louisiana — the first major facility sending shale gas overseas — has shipped more than 100 cargoes of LNG to countries including Mexico, China and Turkey. Trump is set to talk about opportunities for growth, including in sales of coal to Europe and Asia. A recent increase in the production of metallurgical coal used in steel manufacturing has helped East Coast terminals ship more of the resource overseas. And the president is expected to describe openings for other energy exports, including U.S. technology that harnesses power from the wind and sun, and a new generation of advanced and modular nuclear reactors. Some nuclear power advocates have argued that the U.S. government process of licensing advanced reactor designs is so lengthy that it discourages investment. The administration could go further to expand opportunities for using U.S. energy abroad by seeking to undo an Obama-era ban on the Export-Import Bank financing coal plants overseas. That could have special political resonance with coal miners who helped propel Trump to victory with wins in Pennsylvania, West Virginia and other states that have seen jobs tied to the fossil fuel decline. The Trump administration has begun reversing a slew of regulations and policies that have limited energy development or made it more expensive, such as by ending a moratorium blocking new coal leases on federal land, and overturning a rule governing coal mining pollution in streams. The president has ordered agencies to remove regulatory barriers to producing domestic energy resources, kicking off a broad government-wide review. Even as that analysis continues, the Interior Department has begun repeals or revisions of Obama-era mandates governing hydraulic fracturing and discouraging methane leaks from oil wells. A White House office is also vetting a proposal to repeal the Clean Power Plan, the Obama administration rule forcing states to slash greenhouse gas emissions from electricity production. And the Trump administration is considering more auctions of oil and gas leases in the Arctic and Atlantic oceans. Ironically, some of Trump’s policies could exacerbate the market challenges facing oil, gas and coal, by spurring more domestic production at a time when a supply glut is already suppressing prices. The U.S. is on track to produce 10 million barrels of oil per day on average next year, according to a forecast from the Energy Information Administration — a milestone that would shatter a record set in 1970. Trump’s theme of “energy dominance” marks an evolution. For years, the catch phrase of choice has been “energy independence,” as politicians and industry officials sought to highlight how a new era of abundance was helping the U.S. wean itself from foreign sources of oil and natural gas. That was in turn a dramatic change from the 1970s, when former President Jimmy Carter turned down the White House thermostats and used a televised address in February 1977 to urge consumers to conserve energy amid a permanent “shortage.” After that, federal energy policy became rooted in the view that oil and gas were in short supply. U.S. drilling activity continues to ramp up, stretching the rig rally to 22 weeks, according to Baker Hughes’ Weekly Rig Count. Six additional rigs came online this week, bringing the total number of rigs active in the U.S. to 933. All six of these rigs were land-based, meaning there are now 908 land rigs operating in the country. 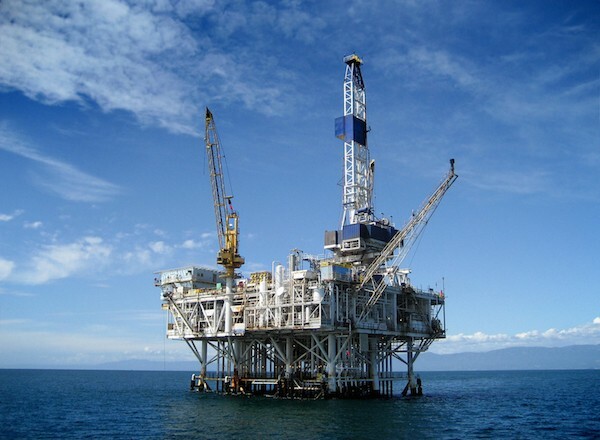 Inland waters and offshore rigs saw no change, remaining at 3 and 22, respectively. Oil-targeting rigs continue to increase their share of rig activity, adding six this week. One gas-targeting rig became active this week, while the lone “miscellaneous” rig shut down. In total, there are 747 oil-targeting rigs operating in the U.S., compared to only 186 gas-targeting rigs. Surprisingly, horizontal rigs did not see the largest increase over the week. Instead, directional rigs grew the most, adding three this week. Two horizontal rigs came online and even vertical rigs saw growth, adding one. Horizontal well trajectories dominate American drilling activity even more than oil-targets do. This week’s count indicates a total of 782, 82 and 69 horizontal, vertical and directional rigs, respectively. Rigs shifted around a great deal this week, and many of the major states that Baker tracks saw changes in active rigs. North Dakota saw the largest increase, adding three to end the week with 49 operational rigs. This is the largest change in North Dakotan rigs since March, when the state added five rigs. New Mexico, Alaska and Colorado each added two rigs this week, while California and Louisiana added one rig each. Oklahoma and Wyoming were the only states to lose rigs, with four and one rigs coming offline, respectively. Unlike the major states, the major basins Baker tracks individually saw small changes. The Williston added three rigs, ending the week with 49 active. The Haynesville, Mississippian, Barnett and Cana Woodford all saw one rig come offline over the last week. None of the other major basins saw any change, including the Permian and Eagle Ford, where activity has been booming over the past few months. James Schwaberow | Bloomberg | The silhouette of a contractor is seen walking up stairs at an Anadarko Petroleum Corp. oil rig site in Fort Lupton. Anadarko Petroleum Corp., one of Colorado’s biggest oil and gas companies, on Tuesday said it would pour about $840 million this year into its operations in the state’s Denver-Julesburg (DJ) Basin, which sprawls north and east of Denver to the state line. The company (NYSE: APC), which has been working in the DJ basin for years, also boosted the amount of oil, natural gas and liquids it expects to pull from the basin by about 33 percent — to more than 2 billion barrels of oil equivalent, at least. Oil and gas companies have been increasing their activity and spending in recent months as crude oil commodity prices have hovered around $50 per barrel and the number of drilling rigs working in the field has started to rise. Some analysts say those are signs that the industry is starting to recover from the massive, two-year downturn in commodity prices that savaged the industry, as companies responded by slashing budgeting, idling drilling rigs and eliminating thousands of jobs across the country. But while companies appear willing to raise their budgets, the numbers are not anywhere near the size of their investments a few years ago. Anadarko said it expects to operate an average of “five to six” drilling rigs and drill about 290 new oil and gas wells in Colorado this year. That’s a major jump from one rig the company operated in Colorado during 2016. Anadarko in 2016 budgeted approximately $500 million in the Colorado’s DJ Basin. That was down from its 2015 budget, when it budgeted $1.8 billion — about $1 billion more than the company plans to spend in the basin this year. The company is bullish on what it can do in the basin, saying in its presentation slides that it has scouted 4,100 locations for new oil and gas wells in the DJ and expects to double its production levels in the state by 2021. Al Walker, Anadarko’s chairman, president and CEO, said in a statement the company expects to hit a new production benchmark in Colorado of 100,000 barrels per day during 2017, a 30 percent jump over 2016. Overall Anadarko said its 2017 capital program is expected to be $4.5 billion to $4.7 billion, of which about 80 percent will be spent in the U.S. or in the Gulf. About $1.9 billion is earmarked for U.S. onshore operations, such as those in Colorado and Texas. The overall budget is up 61 percent from the $2.8 billion the company spent in 2016. In the U.S., the money will be focused on areas that Walker has called “the three D’s,” the Delaware Basin in Texas, the DJ Basin in Colorado and the deepwater Gulf of Mexico. “In 2017, we plan to allocate approximately 80 percent of our total capital program toward our U.S. onshore upstream and midstream activities, and our expanded position in the deepwater Gulf of Mexico,” Walker said in a statement. The spending plan not only gives the company a base to grow over the next five years, but the budget can be adjusted upward in Texas and Colorado if markets improve, he said. “These investments provide the foundation for our increased five-year oil growth expectations of more than 15 percent on a compounded annual basis at current prices, and we are prepared to be flexible throughout the year if we see the opportunity in the Delaware and DJ basins to accelerate activity to capture additional value,” Walker said. Brent crude slipped toward $56 barrel on Monday as a stronger dollar and ample U.S. supplies outweighed OPEC output curbs and rising tensions between the United States and Iran. Brent crude was trading down 64 cents, or 1.1 percent, at $56.54 a barrel by 11:10 a.m. (1410 GMT). U.S. crude fell 45 cents, or 0.8 percent, to $53.38. The dollar rose 0.2 percent versus a basket of currencies. “It’s most likely the stronger U.S. dollar,” said Commerzbank analyst Carsten Fritsch of the reason for the dip in oil. A stronger dollar makes crude more expensive for other currency holders and usually weighs on the oil market. Oil prices, while supported by supply cuts agreed by the Organization of the Petroleum Exporting Countries and a new spike in tension between Iran and the United States, are struggling for new direction. “The tug-of-war between oil bulls and bears continued last week and there are no clear signs who could turn out to be the winner,” said Tamas Varga of oil broker PVM. The Trump administration’s new sanctions against Iran, though not affecting oil output, raised concern about the potential for further developments that could hinder export growth in OPEC’s third-largest producer. Tension between Tehran and Washington has risen since an Iranian missile test that prompted the United States to impose sanctions on individuals and entities linked to the Revolutionary Guards. “The growing tensions between the U.S. and Iran are …having a price-supportive effect,” Commerzbank said, adding that, while the sanctions don’t affect output, “this could change if the situation were to escalate”. Iran has been raising crude output since most international sanctions over its nuclear programme were lifted in 2016. Tehran is exempt from the OPEC supply cuts. The OPEC members covered by the deal with Russia and other independent producers have implemented at least 80 percent so far, according to a Reuters survey and analysts. Russia has cut about 100,000 bpd and plans to increase that to 300,000 bpd. Implementation of the cuts began on Jan. 1 with the aim of reducing output by almost 1.8 million barrels per day. Against this backdrop, more investors are betting on rising prices despite indicators such as the Baker Hughes rig count pointing to increased U.S. supply. U.S. energy companies added oil rigs for a 13th week in 14, data showed on Friday. Despite the OPEC cuts, U.S. crude inventories rose by more than expected last week. Investors raised their net long U.S. crude futures and options positions in the week to Jan. 31, the Commodity Futures Trading Commission said on Friday. Higher prices for crude oil, natural gas and gasoline are among the highlights from the federal Energy Information Administration’s first short-term outlook for 2017. The new forecast projects that U.S. crude oil prices, which averaged $43 per barrel in 2016, will rise this year to an average of $52 per barrel and will add on another $3 per barrel in 2018, to an average of $55. U.S. gasoline prices, which averaged $2.15 per gallon in 2016, are expected to increase to $2.31 per gallon in the first quarter, and average $2.38 per gallon for this year and $2.41 per gallon in 2018, the EIA said. On the natural gas front, average prices in 2016 were $2.15 per thousand cubic feet and are expected to jump to an average of $3.55 per thousand cubic feet in 2017 and $3.73 per thousand cubic feet in 2018. On the production side, U.S. oil production averaged 8.9 million barrels per day during 2016 and is expected to rise slightly to 9 million barrels per day in 2017 and climb to 9.3 million barrels per day in 2018, the report said. The EIA said it expects the new oil supplies will come from the Gulf of Mexico and shale oil plays across the U.S., such as in Colorado’s Denver-Julesburg Basin. Natural gas production is expected to drop in 2016 to an average of 72.4 billion cubic feet per day compared to 2015 when production numbers are made final. If that proves to be true, it would be the first drop in the nation’s natural gas production since 2005, the EIA said. Production increases are expected this year and next, rising by an average of 1.4 billion cubic feet per day in 2017 and 2.8 billion cubic feet per day in 2018, the EIA said. Also, natural gas edged out coal as the leading fuel for electricity generation during 2016, the EIA said. The agency said it estimates natural gas provided 34 percent of the nation’s electricity in 2016 while coal provided 30 percent, “marking the first time that a fuel other than coal provided the largest share of electricity generation on an annual basis,” the report said. Oil and gas discoveries around the world dropped last year to their lowest since the 1940s after companies sharply cut back in their search for new resources amid falling oil prices. “The lack of discovered volumes in 2016 will not have an immediate impact on the global oil supply in the short-term, given the lead time it takes from the discovery to start-up of a field’s production,” Mlada said. Several significant discoveries were announced in recent weeks including Exxon’s find of 100-150 million boe offshore Guyana and Statoil’s 80 million boe discovery off Norway. Federal land managers’ rule aimed at reducing burn-off, venting and leaks by oil and gas companies that gain the right to operate on public lands took effect Tuesday after a federal judge rejected an industry challenge. Oil and gas companies that obtain leases to extract oil and gas from federal public land now must take steps to control their emissions into the atmosphere. For years, companies have disposed of methane gas they could not process by opening valves and venting it and by partially burning off or “flaring” gas because they did not put systems in place to capture the gas for sale or use it on-site. Bureau of Land Management data show that companies between 2009 and 2014 wasted enough gas to power 5.1 million homes for a year. They wasted gas on which they otherwise would have had to pay royalties to state, tribal and federal governments. U.S. District Judge Scott Skavdahl in Wyoming on Monday rejected an industry effort to prevent the rule from taking effect. Skavdahl concluded it was within the authority of the BLM to set this rule, but his decision left open avenues for the oil and gas industry to continue to fight it. He has set an expedited hearing schedule to resolve the issue fully in the coming months. Conservation groups joined BLM officials in defending the federal rule. Federal BLM officials issued the rule in November 2016 and industry leaders immediately challenged it seeking a preliminary injunction. The WEA and the Independent Petroleum Association of America filed the lawsuit seeking an injunction to block the rule on federal and tribal lands. Wyoming, Montana and North Dakota filed similar lawsuits, which were consolidated into the industry case. Oil and gas companies in their push to prevent limits on venting, flaring and leaks argued that federal land managers’ action was an illegal “arbitrary and capricious” abuse of federal power. They also argued that the BLM is usurping power to regulate air pollution that Congress has given to the Environmental Protection Agency, in concert with state agencies that implement and enforce rules — not the BLM. They argue it is up to the EPA and states to set and enforce rules to limit pollution of the air on public lands. The BLM rule encourages oil and gas companies to collect natural gas rather than vent, burn or leak it from out-of-date equipment — in line with established mandates to prevent waste. A phased implementation of the rule requires oil and gas producers to use available technologies and systems to reduce flaring by 50 percent at oil wells on public and tribal lands. Companies must periodically inspect their facilities for leaks and replace old equipment that releases large amounts of gas. 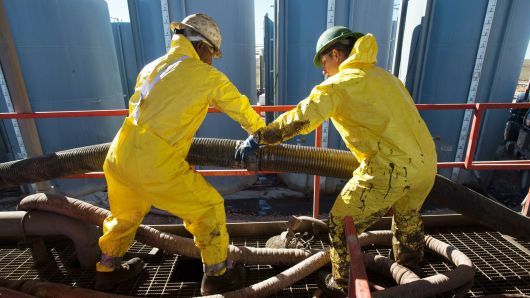 The rule also limits venting from storage tanks and requires companies to use best practices to minimize leaks when removing liquids from wells. Last June, Judge Skavdahl ruled that the BLM lacks authority from Congress to regulate the oil and gas industry practice of hydraulic fracturing, or fracking. BLM officials have appealed that decision to the 10th Circuit Court of Appeals in Denver. Industry petitioners in that separate case are scheduled to present their arguments in March. Things in the energy sector are looking up, according to a fourth quarter industry survey from the Federal Reserve Bank of Kansas City. Executives surveyed between mid-December and the end of 2016 say activity is up, and their outlook for the future has improved, according to the survey results. Five years ago, in the article that landed me a role here at MarketWatch’s Trading Deck, I wrote there was “one general thing that changes everything for America.” That one thing was the rise in production of American oil. Within a year of that article, once American companies started pumping oil in earnest, we saw a large runup in oil stocks XLE, +0.46% That bull market lasted until the recent oil price crash CLG7, +1.64% The oil crash, as we know, was caused by the Organization of the Petroleum Exporting Countries and Russia flooding the market with oil. Recently, they agreed to slow production to help finish the rebalancing of global oil markets. Today, we are at the beginning of another large rally for oil stocks. There are several catalysts for this move. The Trump administration is very pro-fossil fuel. The renewed focus on American oil will help drive oil prices higher in coming years and ease regulation on fracking. The looming decline in global deepwater oil production, about 3 million barrels a day starting this year, will also put pressure on oil prices to rise. This production decline for the most part won’t be replaced with new deepwater megaprojects. Most projects are too expensive and have too long of a payback in an era when we eventually expect to have cheaper, longer-range electric vehicles. On top of a gradual decline in deepwater oil production, there is a wild card that could drive oil prices toward $100 per barrel again: A very real possibility in the near future that the dollar will no longer be the lone global reserve currency. As I discussed about a month ago in an article titled “Could Trump, China conflicts take the U.S. to recession?” it is very possible that China and Saudi Arabia make a deal to trade oil in yuan. If they do that, then the “petrodollar,” which is built on global oil being traded in dollars since the early 1970s, will be no more. At that point, the yuan USDCNY, -0.6724% becomes a co-reserve currency, and the dollarDXY, -1.16% depreciates. There might even be a security component of a Saudi-China deal on oil and the yuan. Consider, then, what that could look like and what it means to oil prices. What if China deployed troops to Saudi’s border with Yemen, a country embroiled in civil war in which Saudi is supporting one side and Iran the other? Or took part in an Iraqi “peacekeeping” force that fights ISIS? There are quite a few scenarios that could add to the risk premium for oil. There are many moving parts to the global oil, currency and trade markets. I cover many of those in a report titled “2017 — The Return of Volatility to Markets,” to be published the week of Jan. 16. Sign up at my investment newsletter to receive it. The bottom line is that over the next few years, the price oil is likely to rise, or to rise a lot. That is a pretty good equation for oil-stock investors. Having extra exposure to the energy patch is again a good idea. Especially good are companies involved with American shale, as they have a lot of supporters in government now. The survivors in the shale patch stand to do very well in a higher-priced oil environment. Those with better balance sheets will do better than those with heavier debt. Moreover, companies with significant natural-gas production will probably be safer long-term as oil use shrinks sometime in the next decade and natural gas use keeps on growing. I recently discussed 4 stocks for oil’s final bull market. For those looking to build a better asset allocation, here are two funds that can give you greater exposure to higher-priced oil. FCG focuses on companies with significant natural-gas production. While several components are pure play natural-gas producers, most also have significant oil production, such as Devon Energy Corp DVN, +0.60% a Permian basin leader and the ETF’s second-largest holding. There are also desirable midstream assets in FCG, such as Kinder Morgan KMI, +0.25% and Enbridge Energy Partners EEP, +0.47%that help add a solid dividend to the fund. In my opinion, FCG is a buy at recent price levels. Companies that provide equipment and services to the oil-and-gas industry also do very well whe oil prices rise. In fact, the equipment and service companies are usually more levered to rising oil prices than producers. The SPDR Oil & Gas Equipment & Services ETF XES, +0.09% is my selection here. I prefer it to other ETFs because of its non-market-cap weighted portfolio. I believe the midsize companies will do best in an extended bull market, so I don’t want to overweight the large companies. XES is a buy in my opinion at recent price levels.